Music is a big part of programming. Nothing gets me zen faster than immersion in a good back beat. As such, I’d like to pass on a few genres and artists that I think stand out as being conducive to cranking out code. 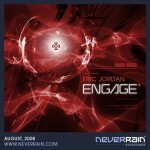 By far, I spend the most time listening to Eric Jordan. His trance mixes are stunning. 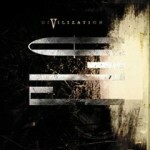 They are always creative, drawing from his vast knowlege of obscure, but impressive tracks. He is a master at creating a mood, evoking emotion, and pulling the listener in. Every month he posts a new mix on his website: neverrain.com, available for free to download. His mixes tend to have more subtle melodies, and less vocals, so I find them extra conducive to zoning out and programming complex algorithms. DJ GT takes a similar approach, creating hour long mixes and posting them for free on his website, generationtrance.com. He is equally talented, although his track lists tend to be slightly more mainstream. All of the songs he uses contain lyrics, which makes the mixes a little more structured and digestable for those not as used to electronic music. I’ll throw one of his many tracks in the queue when I want something more upbeat to tap my feet to. 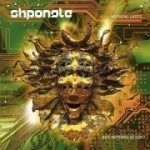 Shpongle is group out of the UK that defies description. Generally, I’d label it Psy Trance, but you’ll find heavy influences of world beat, classical, opera, jazz, ska, punk, dub, and half a dozen other genres. It all adds up to 100% awesome. Lyrics in their music are not arranged into verses to tell a story, but rather sampled to become part of the ambience and reinforce the mood. My only wish is that they had more than three albums. If I had to describe Dub to someone who hadn’t heard it, I’d label it the offspring of Reggae and Trance. It’s characterized by a slower tempo than most electronica, with a heavier bassline and more emphasis on the ambience of the music. 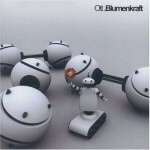 Ott’s first album Blumenkraft stands out as my favorite mix of any artist mentioned here. It’s simply the most powerful weapon against the drone of office background noise I’ve found. I save it for when I need to write that recursive function I’ve been putting off all week. Two of my favorite artists are Bill Leeb and Rhys Fulber. They’ve been making electronic music for two decades, and they’ve made some of the best. They’ve gone under several different names, the most popular being Delerium and Front Line Assembly. Delerium, like Shpongle, defies description and has gone through several distinct transitions through the years. I own and love the entire collection, but the music I find best to program to however, are their oldest albums, found here and here. Each of those are a two CD set that compiles all the their earliest releases which are (sadly) no longer available. The music is very experimental, and it laid the groundwork for the industrial genre. Well, that concludes the tour of my favorite programming music. I hope you enjoyed the trip; be careful opening the overhead bins, as items may have shifted in flight. I’m always open for recommendataion, so if you hear a good tune that makes you stop and close your eyes to listen, let me know. Rhythmbox is the music player that comes on the default Ubuntu installation. Anyone that has ever used iTunes, Windows Media Player or any other similar program will find it very intuitive. You do need to download an extension to add MP3 capability, but this is easy to do.